>I’ve been in the habit lately of sketching at lunch. 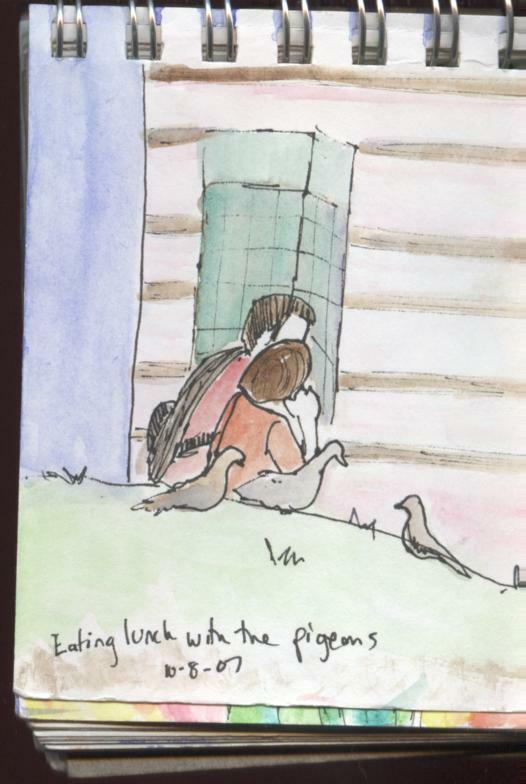 I did a quick small sketch of the courthouse and of a man and a boy eating. 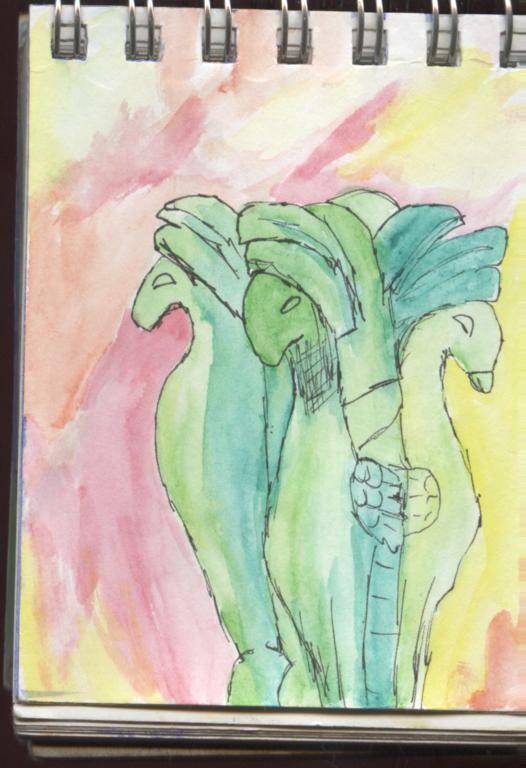 When I started sketching, they were surrounded by pigeons, but something startled the birds. They flew off quite suddenly. I med up with fellow EDM-er Teri of Painted Daisies. 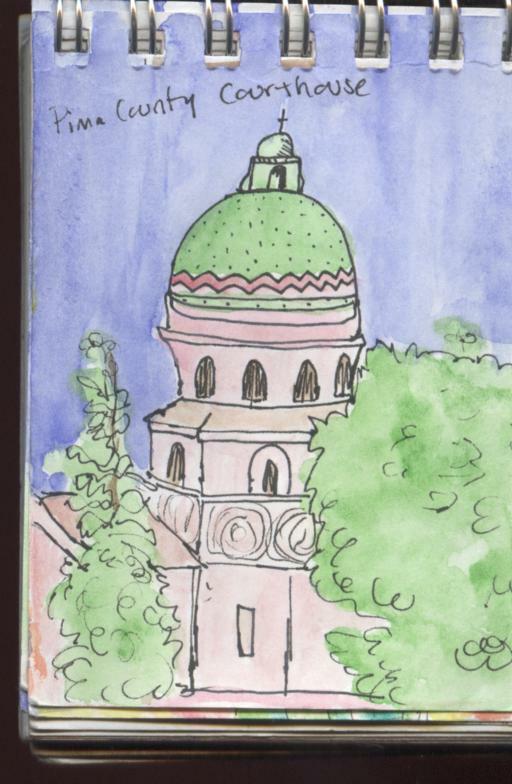 She and I met up for coffee at starbucks and then some sketching. 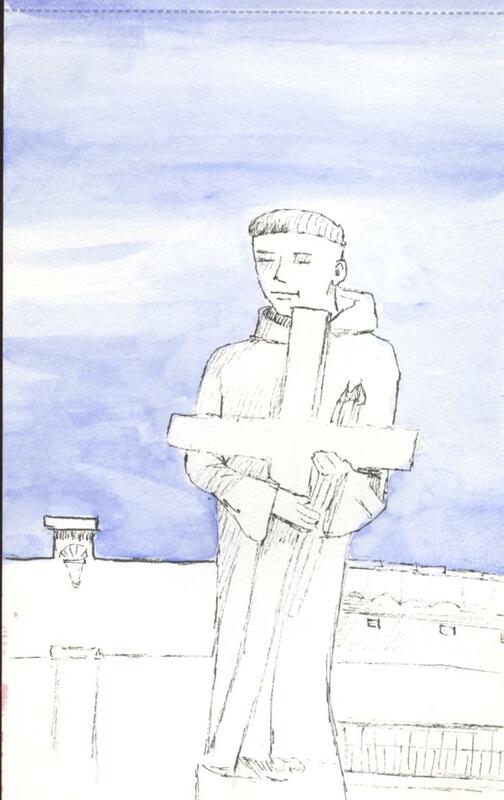 First we went to the St Philip’s Plaza. 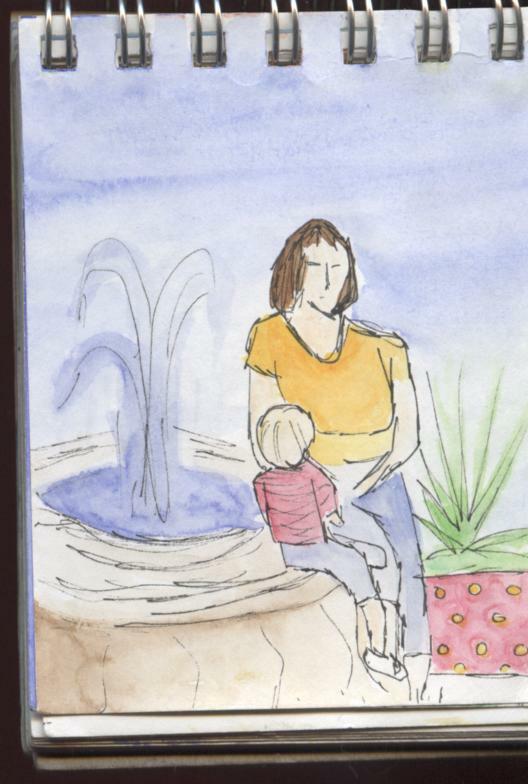 This woman was hanging out with this fairly active youngin by the fountain. I managed to capture a few lines of their likeness before they took off again. 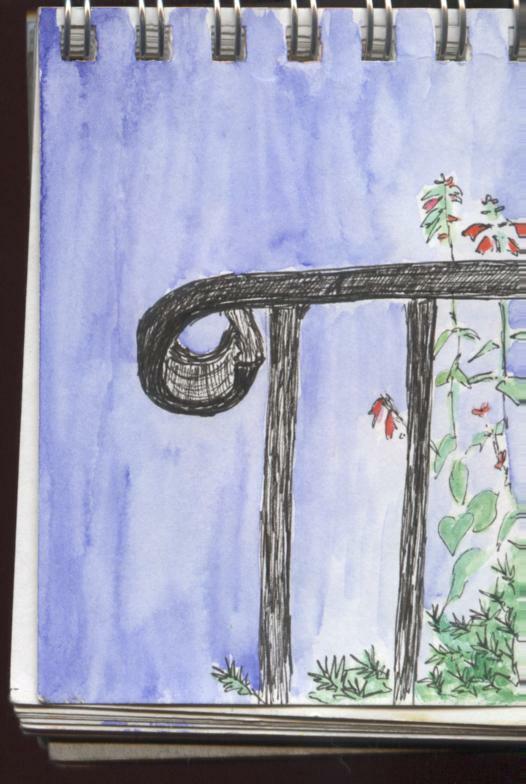 Oh yeah, and I also did a sketch of the railing with a few delicate red flowers…. Click here for some photos of the Sketchcrawl and click here to visit Teri’s blog post about the sketchcrawl. 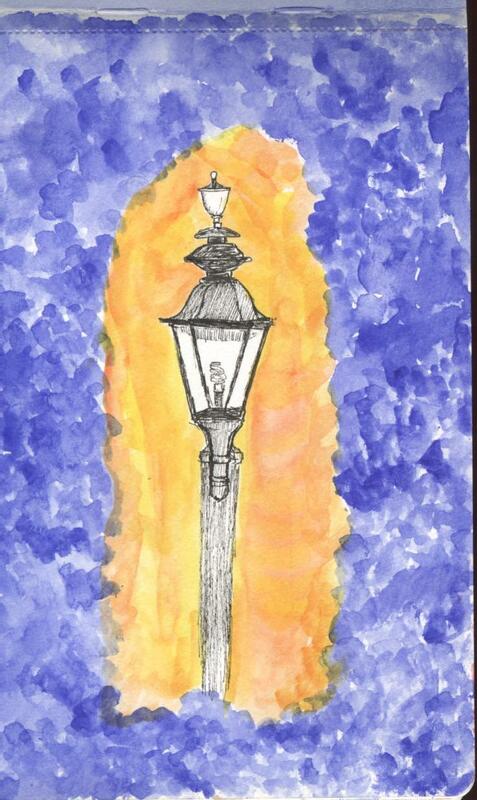 This entry was posted in sketch crawl, tucson by Alanna Randall Beckwith. Bookmark the permalink. >Gee, I ‘m glad you posted these Alanna. I didn’t even get to see them all. 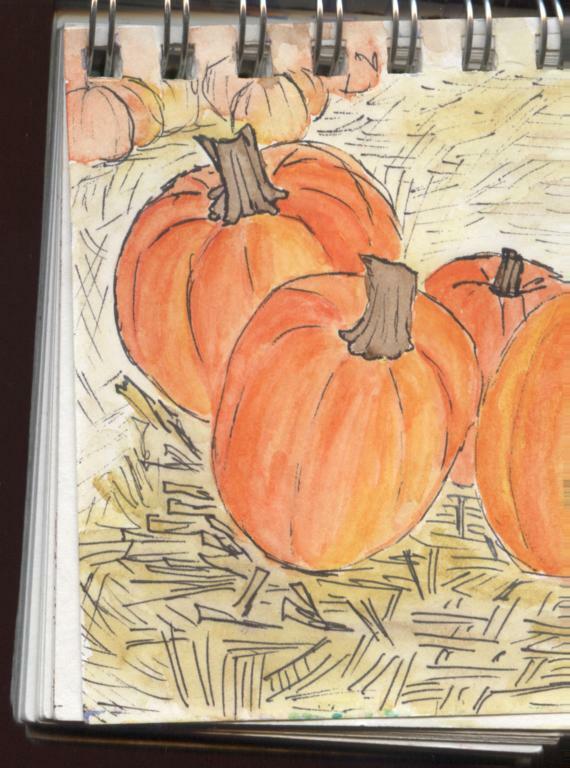 I love those pumpkins and all your sketches.It was such fun, so inspiring to sketch with another artist. We have to do this again sometime. >Beautiful sketches, sounds like a lot of fun to meet someone from the EDM list and go out drawing together. Pity noone lives near me… Sounds like you had a lot of fun! >These are really good, Alanna, especially the pumpkins and the railing. >Really nice sketches. Looks like a beautiful place to sketch.